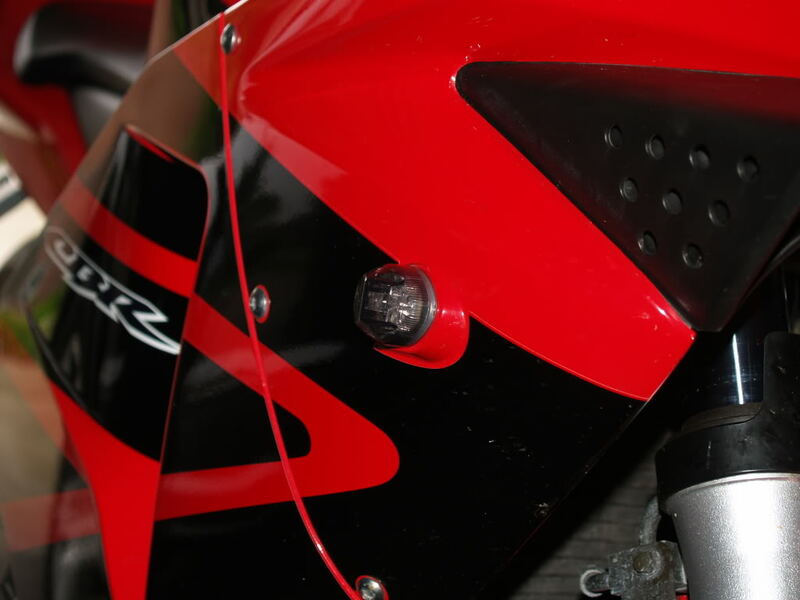 Well I put a clear alternative LED taillight on my 03 600rr. I then wanted to put on LED front turn signals. When I hooked them up, they stayed solid yellow. Come to find out after I ordered a universal relay, that there was no turn signal relay, like there was on my 2000 F4. I did not want to put on resistors, so my search began. Well I did a search on the internet and found a solution. First you have to move the front cowl and locate the blue harness. Locate the White and Green wire along with the grey wire. Cut both. Now you take your relay and strip some wire. 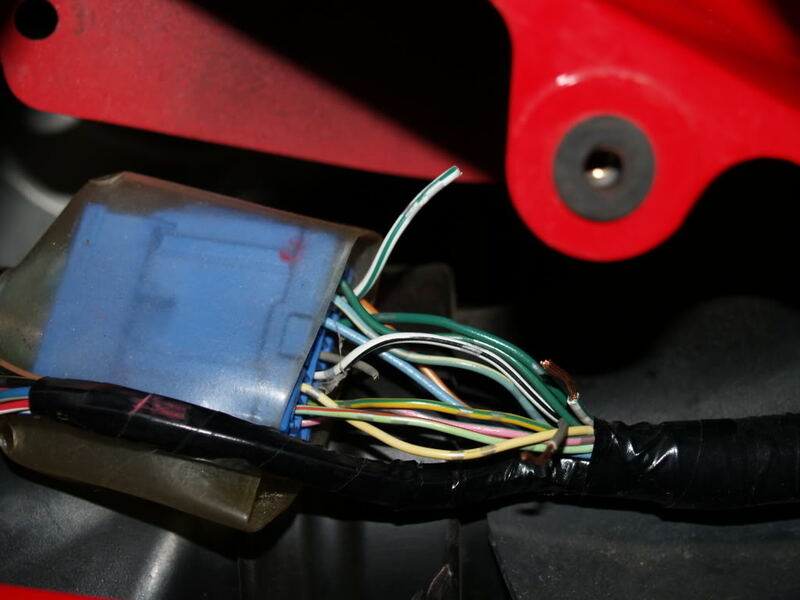 You connect the black wire from your relay to the grey wire on the bike. 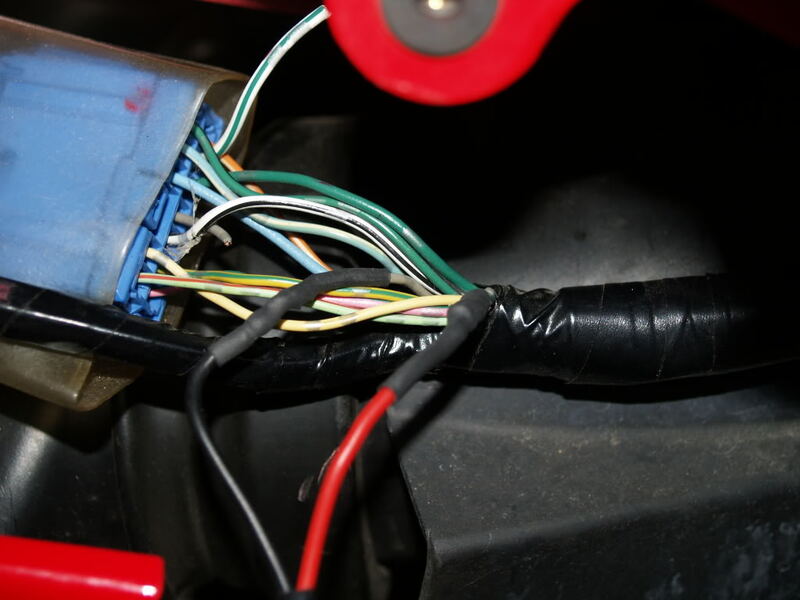 Next you connect your red wire from the relay to the white and green wire on the bike. Solder the wires and shrink wrap them. Put everything and you have LED's that work at DOT rate. Last edited by cwmc29; 05-28-2009 at 07:46 PM. but I didnt have any issues with flash rate on my F4. My front flush mounts dont act as running lights, tho I have made up the resistor to make it so it will, just not installed em lol. 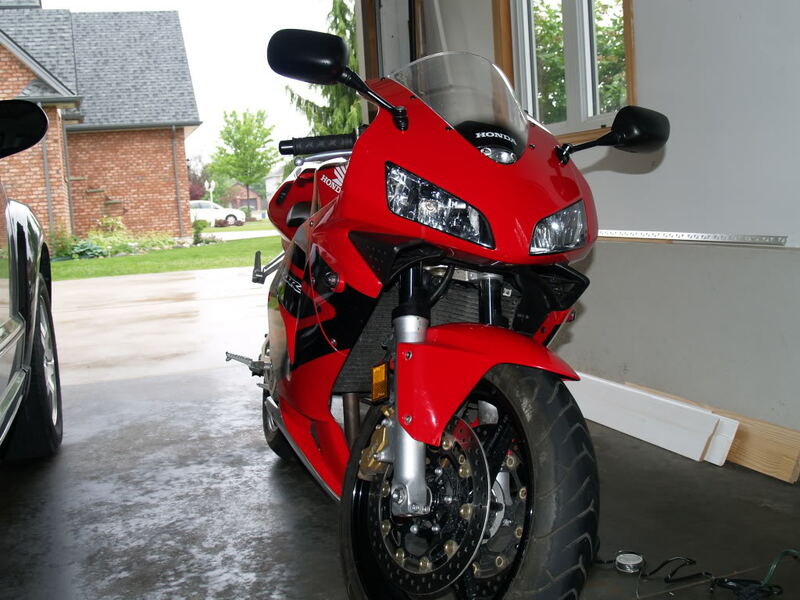 When I looked it up, the 600rr was one of the bikes that had issues when you have front and rear LED's. It tricks the cpu into thinking you have a light out and it won't work correctly. When I had my 2000 F4 I had no issue with the LED's. I just plugged in the relay and away I went. will this work on my 06 cbr600rr with hotbodies flushmounts? will this also work for my 1999 600 f4? I'm having the same dang issue!